Posted by GeGe in Fallout 76 Character Builds. 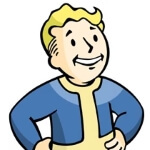 Posted by GeGe in FalloutBuilds.com Feedback. I have tried many times but can seem to get the email verification for the account set up! 2 posts, last by Carlton 4 months ago. Posted by Two-Handed Melee in Fallout 76 Character Builds. Posted by superpangolin in FalloutBuilds.com Feedback. Not sure if this is the right place to go about this, but there isn’t really a help contact since I don’t use Twitter. I’ve tried registering but am not getting a validation email to finalise an account and log in. I tried with a Hotmail address several hours ago and got nothing, and tried with Gmail an hour or two ago and also got nowhere. And no, they’re not in spam/junk. 8 posts, last by Carlton 4 months ago. Posted by KAPER in Fallout 76 Character Builds. Дратути , самый оптимальный сбор для любителей большого оружия, карточки харизмы устанавливаются в случае командной игры, получаем дополнительно очки харизмы. Posted by SeeNeo in Fallout 76 Character Builds. Posted by RJ in Fallout 76 Character Builds. Not sure where to utilize some of the points for better build. Posted by bjarne white in Fallout 76 Character Builds. 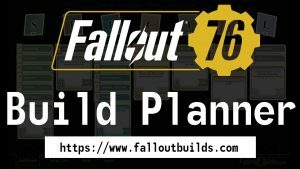 Posted by Alex in FalloutBuilds.com Feedback. I am new to Fallou76, so please, forgive me if in advance. Posted by kazyovka in Fallout 76 Character Builds. I’ve played many builds in this game including sneak sniper, all-in melee, heavy weapons, and shotguns. My highest level character is 100+. This is the build I am planning to play once respecs open up next week. This is a hybrid build which emphasizes AP regen and VATS mechanics to power up both melee and rifles. It is designed to be almost as good as a melee build when melee is feasible, and almost as good as a rifles build when melee is not feasible. Posted by Don in Just wanna make builds for myself. Posted by The King of PSU in Fallout 76 Character Builds. Pretty simple and straight forward Build. It’s made to be paired with a Bloodied weapon. You ideally need to stay with low HP (0%-20%) to maximize efficiency. Im getting a decent lvl 35 FireAxe above 1000 damage with no buff. 2-3 Hits with that on lvl 80 Scorchbeast and lvl 91 Deathclaws. Swap Concentred Fire for Glow Sight during Nuke. Posted by EmberSage in Fallout 76 Character Builds.